Early in 2015 I decided that I would add permanent makeup to the list of my service offerings as I felt there was a need for a certified technician that could offer the latest in the art of semi-permanent makeup. I am certified by the Beauty Institute of BANSE, which has trained and certified over 80 thousand students since 2006. It is one of the most respected institutions of beauty and cosmetic training in South East Asia. I am also a certified Artist of PhiBrows , a highly respected Microblading technique that was developed by Branko Babic. 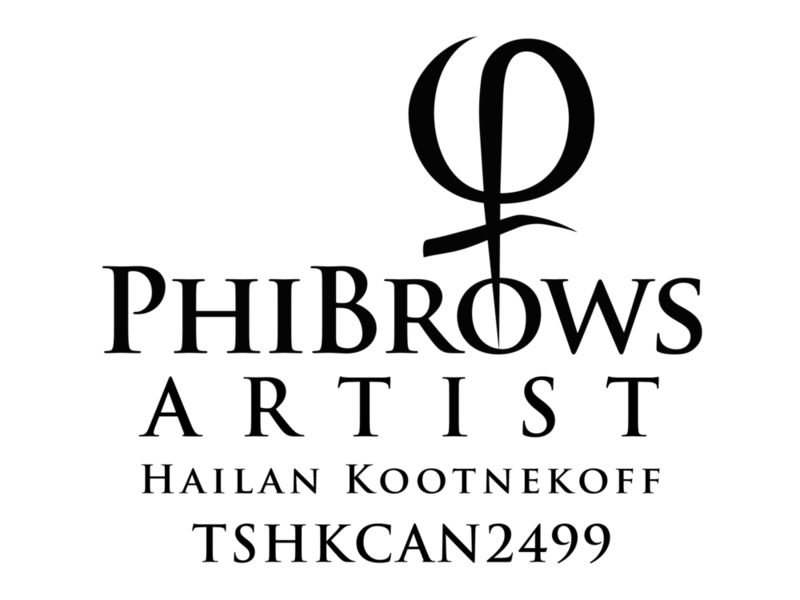 The PHIbrow method offers a unique and very natural style of brow application like no other. I have recently completed a course on PhiRemoval (tattoo removal) that offers a unique and laser free technique to remove and reduce unwanted permanent makeup and tattoo's. This service offers safe and effective results at a significantly reduced cost compared to other removal techniques. I am continuously seeking education & advanced training to perfect my art. Iv'e invested heavily in myself to assure my clients receive the very best service possible and that they are satisfied after every visit. Those that know me, know that I am a perfectionist. As evidence, I have a loyal client following that have left me many wonderful testimonials that can be found here on my site as well as Google , YELP and Facebook. My style of Microblading is unmatched in quality and in design. No two clients are alike, and are very different from one another. Complexions, skin tones, eye shapes, conservative types, dramatic types and everything in between. I spend the proper time in consultation with my clients and draw temporary designs and shapes before the process even begins, ensuring my clients leave with exactly what they came for. I am fully certified, insured and approved by Alberta Health Services.